East Texas in a little sawmill town called Diboll, just 2 hours north of Houston. KPLE FM, as a part-timer, often working weekends and overnights while going to classes in the day. In 1992 he graduated. 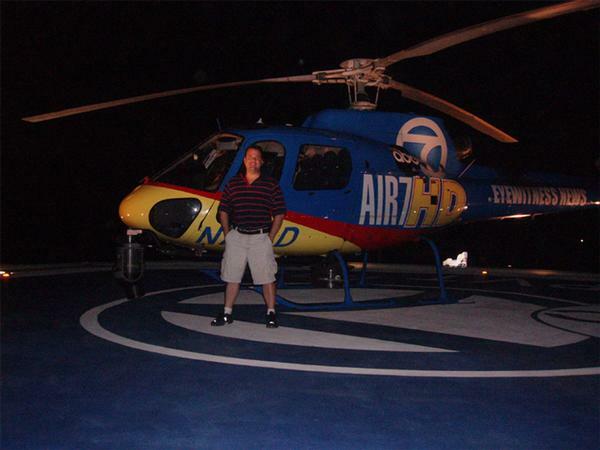 Shortly thereafter he moved back to East Texas where he worked at his hometown TV station in Lufkin, Tx, KTRE -TV 9 as a photog, editor and reporter. 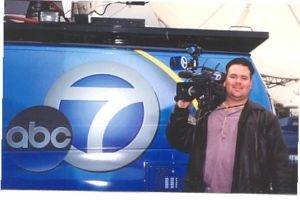 About a year later he moved to Austin, Tx where he worked as a photojournalist and editor at KEYE-TV 42. While in Austin he worked part-time for Time Warner Cable in direct sales. 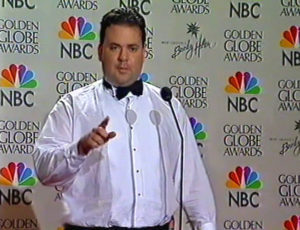 In 2002 he moved back to Texas and produced a 1 hr self-funded documentary with friend and colleague Joaquin Costilla. His production company was called Break Away Productions. His pet project was made with video gear he had acquired as a freelancer in L.A. 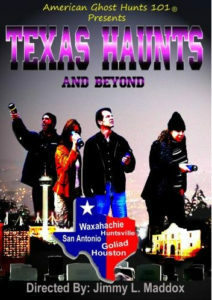 The title was called “American Ghost Hunts 101” and was later rebranded, “Texas Haunts & Beyond” and is available to this day for download on Amazon.com. After the project was completed he moved to Corpus Christi for some steady employment and joined some longtime friends working a sales job at Time Warner Cable in Corpus Christi, Tx. 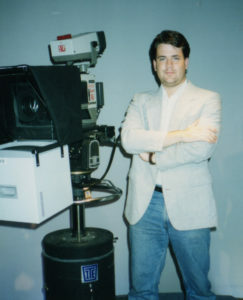 He also worked very briefly with KZTV-TV and KIII-TV. Air 7 HD, an AS350B2 Eurocopter with the state-of-the-art cineflex camera system. The company went through some personnel changes and downsizing changes and Jimmy decided to move back home where he worked in sales for an ADT Security authorized dealer. The sales job was rewarding financially and he earned a top achievement award from ADT corporate in 2009. Destined to do what he was meant to do in this world, Jimmy slowly put together another video production and teleprompter company in 2013. At first, his business was strictly a voice over service and named it Midnight-Voice Productions. Not having success with that, he changed the name in 2017 to Midnight Creative Services, primarily focusing on Video and Teleprompter services. Jimmy considers himself an independent freelancer, not a company, who provides video and teleprompter services. 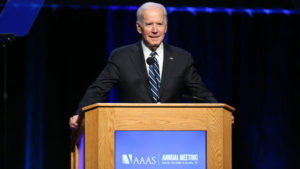 Jimmy has scrolled scripts on camera, and on stages for many VIPs and CEOs including Chuck Norris, Nolan Ryan, Hilary Clinton, President Barrack Obama, VP Joe Biden, Nora Jones, Robin Zander (Cheap Trick) Boz Skaggs, Jimmie Dale Gilmore, Joe Ely, Glen Hughes (Deep Purple), Placido Domingo, and many others. San Antonio to be more centrally located and to be near a major airport.